With just a few hundred combat-ready fighters and a pitifully small weapons arsenal, the Irgun Tzvai Leumi (Etzel), the pre-state underground militia led by Begin, probably did not seem like much of a threat to the British administration in Mandatory Palestine. Yet just over four years later, 80,000 battered and demoralized British troops withdrew from the Holy Land and the State of Israel arose. 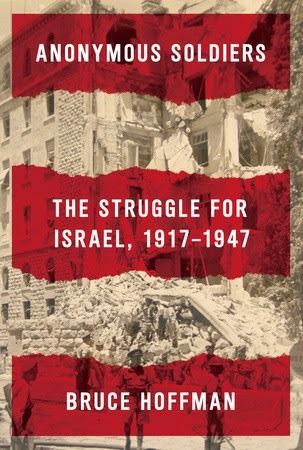 Bruce Hoffman, in “Anonymous Soldiers: The Struggle for Israel, 1917-1947,” presents a detailed chronicle of the guerrilla war waged by the Irgun, the Stern gang (also known as Lehi) and occasionally the Haganah against the British authorities. What makes “Anonymous Soldiers” a valuable contribution to the historiography of the revolt is that Hoffman is the first scholar of the subject to fully utilize the many thousands of British intelligence documents from the 1940s that have been declassified in recent years. Together with newly available collections of papers of individual intelligence officers and the recently discovered intelligence files of the Palestine Police Force, these documents offer a revealing look at British perceptions of the revolt, the factors that shaped British efforts to stamp out the violence and the reasons that ultimately led to England’s defeat and withdrawal from Palestine. Hoffman begins with a lengthy introduction (more than 100 pages) chronicling the situation in Palestine from the time of the 1917 Balfour Declaration until the eruption of the revolt in 1944. While this section breaks no new ground, it does provide helpful context for understanding the foundations of the Mandate period and the formative years of the Irgun. The revolt began with a series of Irgun bombings of Immigration Department offices, “striking,” Hoffman notes, “at the organ of government responsible for implementing the White Paper’s restrictive immigration policy.” He could have done a better job of explaining the human consequences of the 1939 White Paper, for it was those consequences — the fact that would-be Jewish immigrants were being sent back to their deaths in Nazi Europe — that drove the Irgun to take up arms when it did. Hoffman does not adequately address the strong connection between the revolt and the raging Holocaust. Perhaps because indifference to the mass murder was so widespread in British government circles in both London and Palestine, British officials completely misunderstood the motives for the launching of the revolt. Hoffman cites a memo by the High Commissioner for Palestine, Harold MacMichael, blaming it all on the Biltmore Program, a 1942 affirmation by American Zionist groups of the need for a “Jewish Commonwealth.” Biltmore, in fact, had nothing to do with the Irgun’s actions (Begin even ridiculed it in his memoir, “The Revolt”), but MacMichael’s perception illustrates how much attention London paid to American Zionist agitation. The Irgun’s initial bombings and shooting attacks on British police stations, military bases and government offices in 1944-45 did not result in significant losses of life, but they helped establish a new dynamic in Palestine. Now the rebels were the ones calling the shots; they alone knew where and when the next bomb would explode. The British struggled to cope with the rising tensions and the increasingly difficult task of governing the Holy Land. As for the Palestinian Arabs, they were “quiescent” as the conflict raged between the Jewish underground and the British, Hoffman notes. The strong British military response to Arab violence in the late 1930s left the Palestinian Arab community in a state of “exhaustion and political paralysis.” At the same time, the continued enforcement of the White Paper went very far toward meeting the Arabs’ demand to prevent Jewish immigration. Thus Palestine’s Arabs remained on the sidelines as the Jews and the British slugged it out. Hoffman maintains that the Jewish underground’s attacks in 1944 gravely endangered the Zionist cause, because a Churchill-appointed cabinet committee on Palestine had recently “approved a plan to partition Palestine into separate Arab and Jewish states.” Although Hoffman does not provide the details, the plan would have created a large Arab state called “Southern Syria,” a British-ruled “Jerusalem territory” stretching from Jerusalem all the way to the Lod airport and a Jewish state on the coast that was nearly five hundred square miles (25 percent) smaller than the tiny one proposed in the 1937 Peel plan. Moreover, Churchill insisted the plan be shelved until some unspecified time after the November 1944 American presidential election. Hoffmann gives too much credence to the cabinet committee’s partition proposal. Even if the Irgun had known of it, would Begin have accepted the vague promise of a severely truncated state, lacking even a date for implementation? With 12,000 Hungarian Jews being gassed in Auschwitz daily in mid-1944, and England still keeping Palestine’s doors shut, the Irgun was not prepared to wait until global political circumstances made Jewish statehood convenient for the British or the rest of the international community. Churchill’s partition plan ended up in the dustbin of history, alongside numerous other plans for dividing the Holy Land in various ways, including the Churchill government’s 1944 offer to Arab leaders (reported by Meir Zamir in Haaretz in 2008) to establish a “Greater Syria” that would unite Syria, Transjordan, and Palestine, with a small autonomous area for Jews under Syrian sovereignty. Every new revelation concerning wartime British diplomatic maneuvering seems to validate Begin’s skepticism regarding London’s promises. In the case of Moyne, however, it is a fact that he pushed aggressively to send Jewish refugees back to Hitler’s Europe, and even gave a speech to the House of Lords in 1942 in which he claimed Jews were not part of a cohesive national group but were the products of “Slav blood” with “a strong Hittite admixture.” The Foreign Office, the Colonial Office and the Palestine administration were filled with those who shared Moyne’s distaste for Jews and Zionism, not to mention his peculiar ideas on race. Even before the Moyne assassination, the Jewish Agency and Haganah had decided to undertake what became known as “the Season” (as in “hunting season”), an attempt to crush the underground forces by kidnapping and sometimes torturing Irgun members and then handing them over to the British. Future Jerusalem Mayor Teddy Kollek was one of the leaders of this effort. The British intelligence documents cited by Hoffman show that the Mandate authorities were convinced that turning Jew against Jew was the key to ending the revolt. What the British did not anticipate was how quickly Jewish support for the Season would evaporate. A significant portion of the Yishuv (the Jewish community in Palestine) rejected the notion of Jews informing against their brethren. The Haganah itself was deeply divided over the propriety of such actions. The final straw came in the summer of 1945, when England’s newly elected Labor Party government repudiated the pro-Zionist promises of its own campaign platform. Haganah men who had brutalized Irgun members were soon fighting alongside their former victims in the United Hebrew Resistance Movement. Hoffman shows how British overreaction to the reinvigorated revolt played right into the Jewish underground’s hands. Draconian curfews and violent searches for weapons in Jewish towns served only to push the public closer to the rebels. The lashes meted out to an Irgun teenager outraged the entire Yishuv and created a groundswell of sympathy for the group’s retaliatory whipping of a British officer. The mass escape of Irgun and Lehi prisoners from the supposedly impenetrable Acre fortress jail in 1947 dealt another jarring blow to British pride. What was the straw that broke the British administration’s back? Some historians cite the Irgun’s 1947 hanging of two British officers, in retaliation for the execution of Irgun and Stern gang prisoners. Colonial Secretary Arthur Creech-Jones, for his part, later remarked that the hanging of the officers — “a deadly blow against British patience and pride” — was a turning point in persuading the government that Palestine was ungovernable. Multiple factors contributed to the British decision to withdraw. Economic hardships weighed heavily on the war-weary British public. American Jewish protests were blackening England’s name and straining American-British relations. The plight of Holocaust survivors languishing in Displaced Persons camps, dramatized in the voyage of the Exodus and other postwar refugee ships, created additional headaches for London. But the Jewish revolt in Palestine “played a salient role” in forcing out the British, Hoffman concludes, because it created “a sense of hopelessness and despair” among government officials, which, when combined with the other factors, simply could not be overcome. 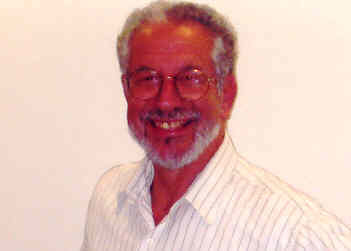 Dr. Rafael Medoff is founding director of The David S. Wyman Institute for Holocaust Studies and author of 15 books about Jewish history and Zionism.